The Tri-Art Non-Stick Palette is easy to clean and practical, making it an essential addition to your acrylic painting equipment. Finally, the perfect palette for acrylic paints! 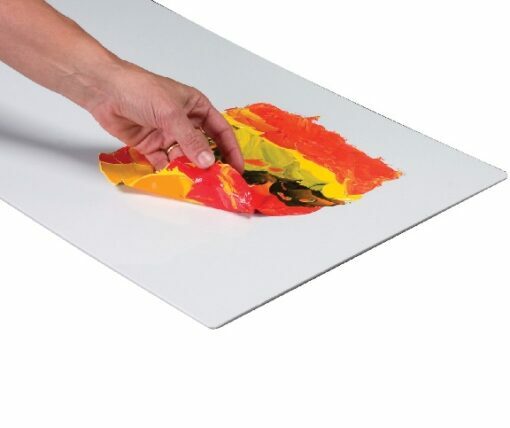 ​The Tri-Art Non-Stick Palette is the ideal working surface for acrylic paints. Its flat, white surface provides a bright surface for clear colour mixing. It is lightweight, easy to store and will not warp or crack over time. 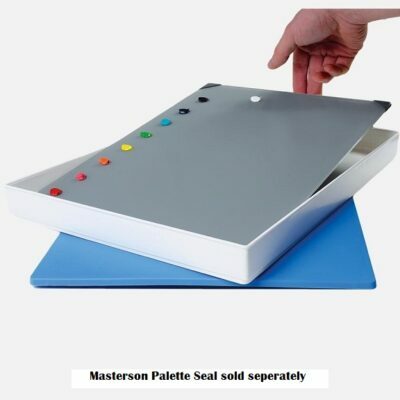 This re-usable palette is an economical and environmental alternative to disposable, metal, wood or plastic palettes. Acrylic products do not adhere permanently to the Tri-Art Non-Stick Palette, therefore once the paint has dried on the surface, it will peel cleanly away. Any remaining paint can be removed from the palette using the accumulated leftover paint as an eraser. Thinner films and stubborn remnants can be rubbed off with either a palette knife or warm water and a sponge. May not yield the same results with all paint brands. The Tri-Art Non-Stick Palette functions as a working surface for alternative applications. Use the peeled-off leftover paint for collage and texturing, or to create acrylic gel transfers and acrylic skins. 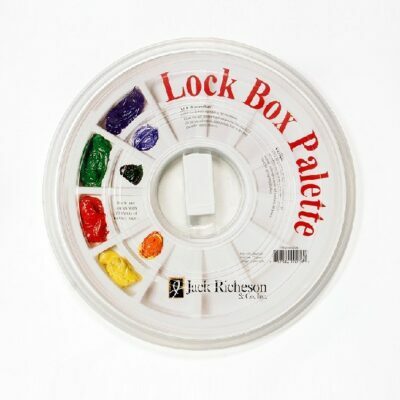 This durable and practical tool is an invaluable part of every artist’s studio. It is the ideal working surface for water and oil-based printing inks, tempera paint, oil paints, alkyds and gouache. Non-acrylic products may not peel off the palette with as much ease as acrylic paints. Choose the Tri-Art Non-Stick Palette for all your painting needs.